Since time and memorial Account Managers and Category Managers have visited their customers’ stores for a ‘store visit’. And also gained very little. They weren’t sure how to make store visits useful because they had done what they’ve always done. Imagine it is 1869 and the first Sainsbury’s store. The Account Manager for tea walks in. Straw boatered and best pressed striped suit worn. Introduces himself. Chats to the staff, has a look at the products, particularly his own, picks up his product and asks, ‘I bet this is selling well, is it?’. ‘Not bad’, comes the reply. Walks out. Store visit nailed. Off home to write a telegram or two. There is. Let’s make store visits a good use of time. A good use of time for the Account Manager/Category Manager, the company and the bottom line. 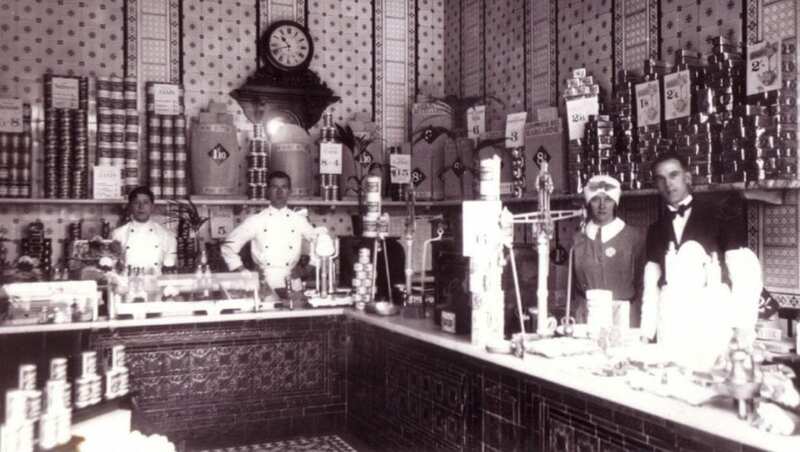 Working with suppliers for the last 14 years we have been privy to how they do store visits. Plus, we have drawn on our own experience from working for supermarkets and for suppliers. The store visits broadly fall into 3 areas; 1. Collecting store information, e.g. promotional themes, 2. Collecting category data, e.g. prices, and 3. Talking to the staff in-store. Some suppliers have created an excel file which they use to populate the information that they have collected about the store. Some excel files have prompted the Account Manager/Category Manager to complete how many shoppers were at the queues, how tidy was the store, what were the promotional themes, e.g. Easter, and a lot of other information. Verdict: The challenge has to be ‘Why?’. Consider how this information will be used. And who will use this information? And what will change as a result of now knowing this information? Most importantly, the impact on your KPI’s for the time spent. The supermarkets won’t care because the data set of 1 -10 stores is too small and they have their own means of gathering this information. Plus, your buyer cannot use the information because it is too broad and not about their category. This is more popular amongst supplier’s sales and marketing teams, though some do get the more junior members of the team to do this. Collecting Category Data can be useful. Sometimes it is just done because the Buyer wants it. Collecting prices from supermarkets is useful to be ‘in the know’ and to be the go-to source for a Buyer to ask retail price type questions. Additional data would be useful too, like promotions, new products, and other new category information, e.g. new signage. Verdict: Collecting Category Data can be very useful. The challenge is to make sure that it is not just data collection. In our Category Management training course we discuss turning data into insight. An example of data is ‘avocados sell 7% less in October than in September’. An example of insight is ‘shoppers stop buying avocados from October and don’t re-join the category until April because they eat less salads’. A programme of data review is needed. Not overly complex, just when and how. For example, reviewing the prices weekly to identify insights, or the promotional data quarterly to identify how to improve the promotional plan for the following quarter. Engaging a colleague in-store can be extremely useful. As long as the Account Manager/Category Manager is not doing so just to tick a box of ‘spoken to staff’. Finding the right colleague is essential and asking the right questions is critical. Some suppliers don’t do ‘Store Visits’, they so ‘Store Meetings’. Whilst you may be under impressed that they have just changed the name, remember that changing the name of something can achieve significant changes. In his article about ‘Global Warming’ Seth Godin says that the problem is in its name. If we had called it ‘Atmosphere Cancer’ from the start we’d see it differently and act very differently. Verdict: Find a colleague that fills-up your category. Ask them non-leading and open questions. For example, not, ‘Our products sell well don’t they?’. Response – ‘Yeah’. Instead, ‘Which products are the hardest to fill-up and why?, or ‘What would make your job easier at this fixture?’. It’s the classic hotel question. As you checkout they ask, ‘Did you enjoy your stay?’. A closed question so the answer is likely to be ‘Yes’, or ‘No’. Plus, the use of the word ‘enjoy’ leads you. The objective of the hotel receptionist’s question is not to get feedback. It is to tick a box that they have asked. If a hotel receptionist had an objective to seek feedback the question would be, ‘What one thing could we do to have improved your stay?’. Much more useful. We doubt you will ever be asked though. To do a useful store visit we need to start at the beginning. Why are you on the payroll? This is pivotal to time management and we suggest that for Account Managers and Category Managers, yes, you need to hit your budget. Of course, but to achieve that objective we need to look at the next level down – ‘Identifying Category Opportunities’. One of the top 3 key challenges for any Account Manager or Category Manager is to identify category opportunities and land them. Therefore the store visit should be as much a part of achieving this as any other activity that they do. A store visit should be an opportunity to identify a category opportunity. If you were to picture a funnel where lots of ideas and thoughts go in at the top, prompted by the store visit, talking to the right colleague, collecting the right data, etc., then out of the bottom of the funnel will pop some category opportunities. Then these will need to be validated with data or internal experts, e.g. NPD or Supply Chain , and then presented to the buyer. Landed. And bottom line improved. Data collected into a category promotions database across the most competitive data set, e.g. If Tesco is the customer and then Kantar shows through switching that they are losing to Aldi and Asda in this category, then that quarter is spent visiting those stores. Data collected about products across the competitive set. Including new products, recipe changes, pack changes, etc. And fed into a database showing the key attributes that shoppers care about, e.g. cooking time. Not the attributes that we think they care about, like the percentage meat content in a sausage, but the attributes they do care about like how much washing up do I need to do after a ready meal. Data collected on other useful category items, e.g. signage that has changed, or the category referenced elsewhere in the store, or new equipment or location in-store. Products bought to use as a shopper. Cooked, or used in the home, as a shopper would. Being critical of our own products and with the hotel question as our mindset, ‘What can be done to improve this product?’. The packaging, the information, the actual product, or anything else. Remember that whilst we as an industry spend a lot of time comparing products from one supermarket to another, the shopper does not. They are more asking, ‘Was this product worth the money?’, ‘Did I have to throw much away?’, and ‘How easy was it to use?’. We cannot advocate working in-store enough. There is nothing like a box of your own product splitting onto the shop floor to know that they £2,500 you saved on a spreadsheet by reducing the gauge of the outer, was a bad idea. Fill-up your category, amend the promotions on the computer in-store of your category. Maybe even work a night shift on your category! 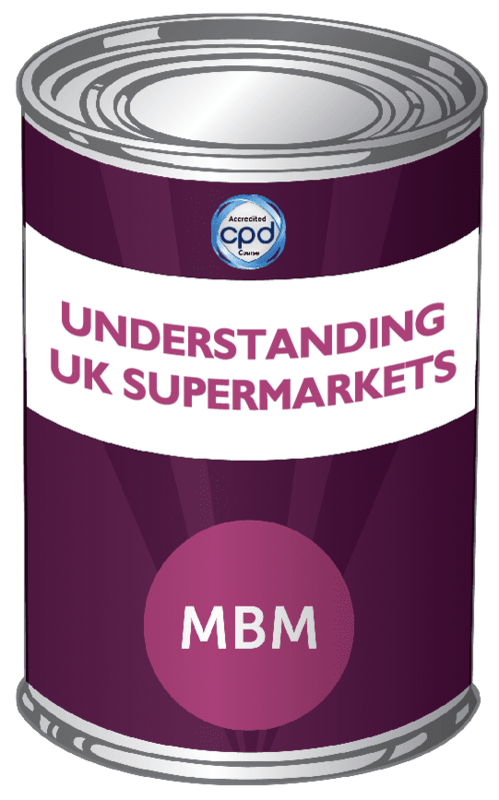 Free guide - Are You Making Mistakes as a Supplier When Selling to the Big Four Supermarkets?